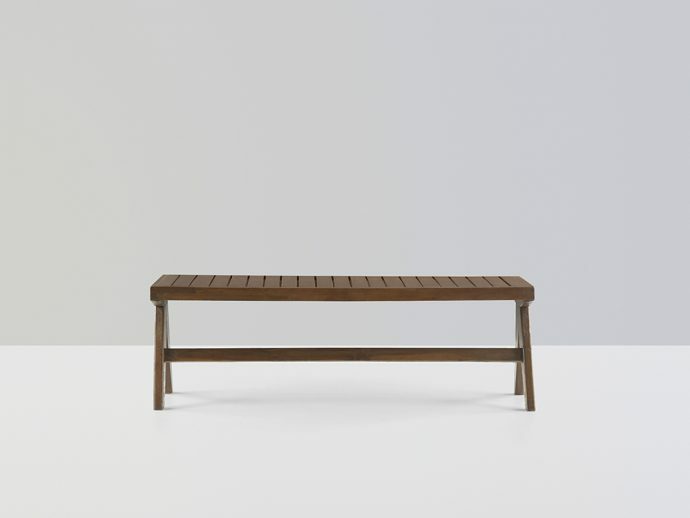 Solid teak Bench jeanneret Chandigarh. Pierre Jeanneret designed Bench, in teak done by Pierre Jeanneret for administration buildings. A rare piece of art. Object called PJ-SI-34-E. In auctions and for architects like Charlotte Perriand and Lina Bo Bardi. Brown wood is for great university buildings and architecture. Selling and buying design furniture. Best price in New York and Los Angeles.